Pakistan will hold elections on September 4 to elect President Mamnoon Hussain's successor. Arif Alvi is currently the member of the National Assembly or lower house of the parliament . 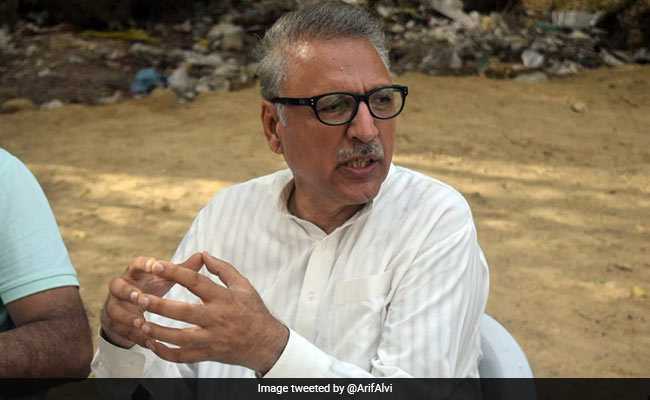 Pakistan's new Prime Minister Imran Khan, also chairman of the ruling Pakistan Tehreek-e-Insaf party (PTI), has on Saturday announced to nominate Arif Alvi as the party's candidate for the office of the President of the country, Information Minister-designate Fawad Chaudhry said. Pakistan will hold presidential elections on September 4 to elect President Mamnoon Hussain's successor at the end of his five-year-tenure. Hussain was the nominee of former Prime Minister Nawaz Sharif. Pakistan's President is elected by the members of the National Assembly or the lower house of Pakistan''s parliament, senate and the four provincial assemblies. Arif Alvi, a senior politician and currently the member of the National Assembly or lower house of the parliament, is considered as the close confidant of Imran Khan. He is a founding member of Pakistan Tehreek-e-Insaf and was the Secretary-General of the party from 2006 till 2013.